Drawing New York founder Simon Levenson will begin teaching Introduction to Drawing for Pastels at The Pastel Society of America in 2018. From Unison Colours website: “Our pastels are still made to the original recipes that were created by John Hersey. 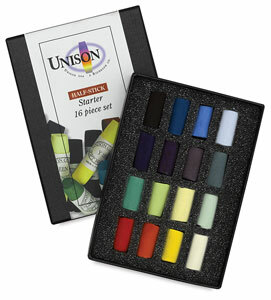 Unison Colour handmade soft pastels are highly pigmented that reveal intense colour when used.